Mick Sternberg had literally made the same measurement a thousand times before. But this meter-long ice core was perhaps just a little more special. He double-checked his numbers on the final length, stood back, and rechecked again. "No reason to rush through this," he said under his breath, which steamed out in the freezing temperatures of the National Ice Core Laboratory's processing room. Talk about a road trip. Three semi-trailer trucks, each pulling 20-foot-long refrigeration containers, rolled into Denver on March 15 after a 24-hr trip across the southwest corner of the country from Port Hueneme, Calif. The cargo: ice. Lots of it - about 43 pallets' worth. But this isn't ice for some fancy cocktail party. The trucks from California had hauled Antarctic ice cores to the National Ice Core Laboratory (NICL) in Lakewood, Colo. It was the final leg of a journey that had covered some 11,000 miles. It's midsummer in Denver, and the city has been baking under a heat wave for a couple of months. But in one small corner of the sprawling Denver Federal Center campus in the nearby suburb of Lakewood, about a dozen people are bundled up in thickly insulated Carhartt jumpsuits, wool caps, scarves and gloves. Congratulations to the NEEM team reaching the bottom of the Greenland Ice Sheet! Below is a message from Jim White regarding upcoming opportunities at NEEM. Please contact Jim directly if you have interest working on these upcoming samples. To learn more about NEEM, visit their website at http://neem.nbi.ku.dk/. The NEEM ice core in north-central Greenland has reached bedrock. NEEM is an international ice coring project co-funded by fourteen nations. The US, via NSF-OPP Arctic, is a major partner in the project. Rock coring and basal ice sampling, including biological sampling, is scheduled to happen in 2012 at NEEM. It would be great to have US participation in this, and we are looking for US scientists who might have an interest in working on any aspect of the basal ice and/or the basal rock material. 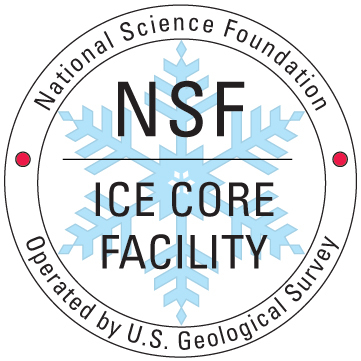 As you should be aware, the NSF/USGS Interagency Agreement for the operation of the National Ice Core Laboratory (NICL) will be expiring October 31, 2010. The USGS has assured NSF that they will work with NSF to ensure a smooth transition and the current plan is to extend the Agreement into FY 2011 with NSF assuming full costs of operations in November of 2010. The immediate priority are some infrastructure upgrades to the facility which are moving forward. Also in the transition continuity of the NICL staff is a high priority. NSF plans to put out a Dear Colleague letter soon for the operation of the NICL facility. NSF would like to use this opportunity to develop plans for the future management of science and facilities important to the cyrospheric research community. The Dear Colleague letter will give the opportunity to centralize cryospheric research projects along with the operation of the National Ice Core Laboratory. We will forward the Dear Colleague to this mailing list when it is released.